In less than six months I got my first freelance work and I was very happy! Nowadays I get tons of freelance work so it looks like sleep-work-sleep-work and I love it. It is funny but most times I didn’t search for freelance work, but the work found me. 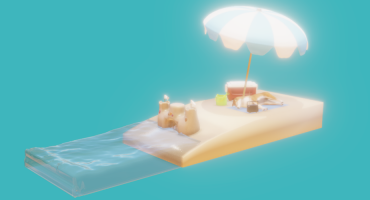 I post some WIP of my works at polycount and unity 3d forums, also when I have free time I do some assets for the Unity Asset store. 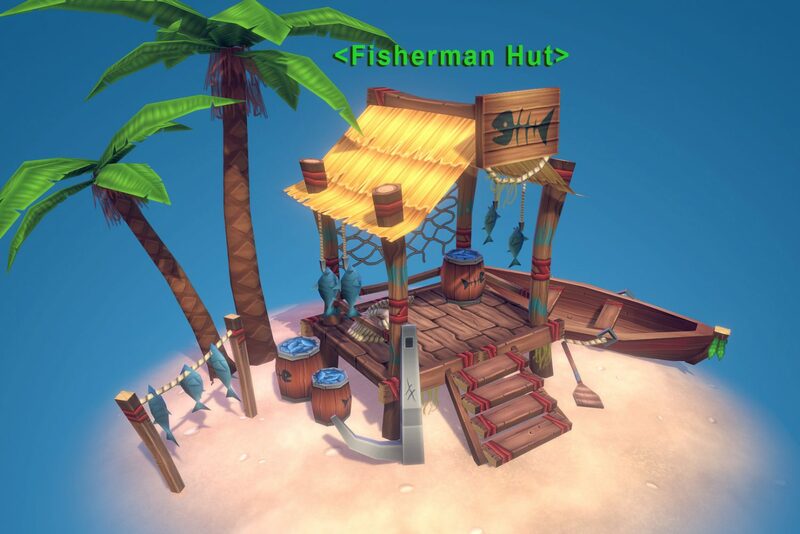 And now let’s talk about Fisherman Hut! Actually it got here accidentally… It is a small environment piece from an RPG game called Tanzia, which I’ve worked on for the last 2 years as a freelancer and made almost all the environments, props, icons, and more. 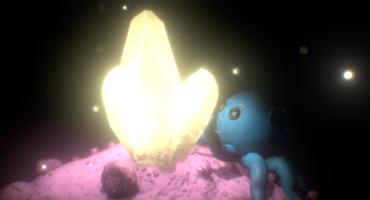 During this time I loved this project and have become friends with the developers. Tanzia will be available on Steam this Spring and it is a chance to see Fisherman Hut in “real life” hehe. I start by thinking about the environment and the climate around. Next I focus on the story of the location: who is living there and how, what features of culture and lifestyle they have. Then I will think about materials that would be used for creating buildings and props. When I have collected enough information, I starting rough silhouette/form concepts. When I know all the assets and buildings I need to do I start Modeling + UV mapping, most of my works are low poly and optimized for mobile devices with tileable textures, overlapped UV maps and modular elements in models. For example I can reuse wooden plank texture for dozen of buildings and save some performance and game build size. Most textures I do in hand painted style, using 3D Coat and Photoshop. At first I did not pay much attention to Sketchfab, but later I started to see lot of great works there and ability to zoom in and look around the model was awesome. There’s no easier way to share a model for concepting, getting feedback, asking for suggestions from other artists, etc. Now I can not imagine any 3D Artist without a Sketchfab account. 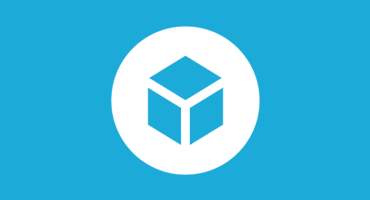 Sketchfab became a big part of my pipeline, and I want to say big Thanks to Sketchfab for the great job. Thanks for your attention and may your wacom pens never dull ! Check out more of Zug Zug’s work here on Sketchfab and on his ArtStation.